Get decorative in our Luciana Grey Fox Fur Coat with Vertical Panels for women. 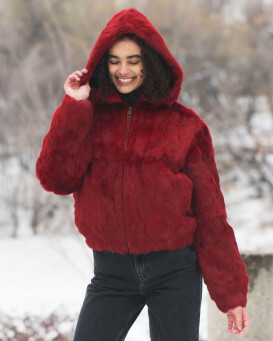 Fox fur is layered horizontally on the dynamic long sleeves. 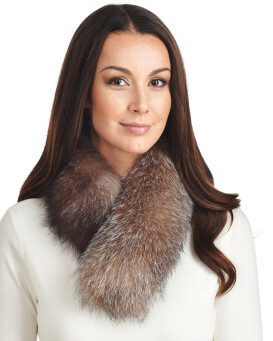 Sueded leather is gorgeous in between each layer of the horizontal fox fur design atop the body. A quilted silky interior keeps you warm and cozy in colder weather. Two pockets are stylish on the sides. Five hook and eye closures affix the look together. This glam design is animated and full of volume! 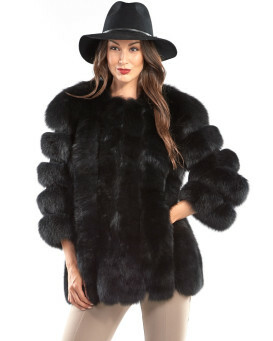 You can picture this woman's coat to accentuate a black outfit and be the star of the show during any winter event.